The theme of my wardrobe in Portugal can be summed up in one word: comfort. It was hot and I was pregnant and sick and walking around all the time. So I needed to be comfortable. I'm worn vintage HM denim shirt on so many trips because it is versatile and comfortable. 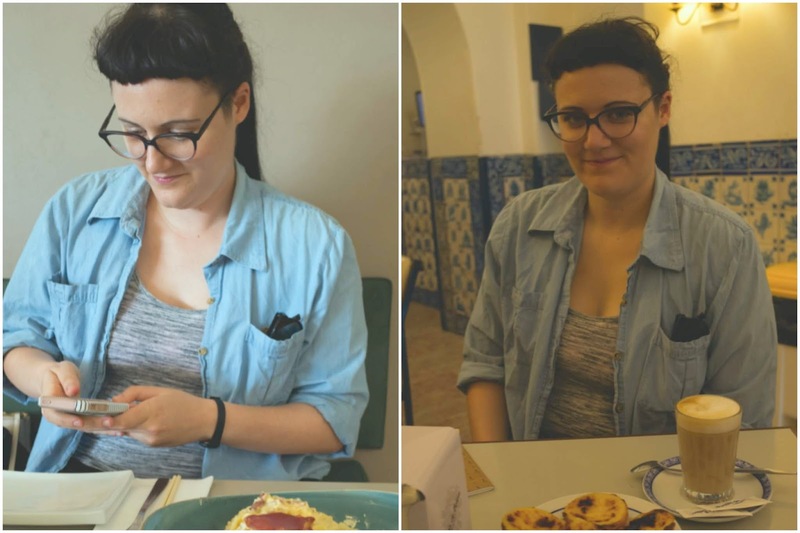 This was my go-to style in Portugal as well.